I have heard Richard Gerver’s key note speeches more than once, and I have to admit to being a fan. He uses his entertaining delivery and sharp wit to deliver a real challenge to anyone who will listen – how do we create an education system that is fit for purpose and that will equip our children to face the challenges the future holds for them? This book does exactly that. Read it. Gerver talks a lot about how he, along with his staff, parents and pupils moved a school from special measures to outstanding in the eyes of Ofsted. His narrative includes many questions and challenges to really make the reader think about the approach they take in their own school which I found useful. The main focus is really about how our schools are preparing children now for their future, one which we really can’t yet fully appreciate. How can we better ‘sell’ school to our children? Yes. 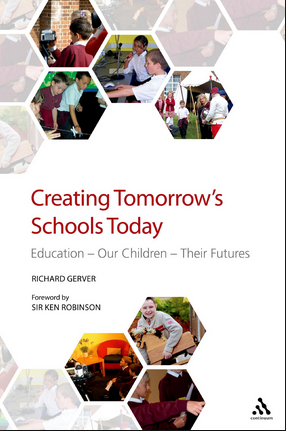 Although most of the book discusses what Gerver and his school community did at Grange Primary School, there are links with some pertinent research. There is a bibliography at the end of the book.